Let us help you size a MixMor Mixer in Michigan today! MixMor continues to be a leading manufacturer of high quality mixers with more than 50 years experience, offering a complete line of mixers including Laboratory, Portable Clamp-on, Fixed Mount Top Entering, Side Entering and Turbine Mixers. MixMor offers a full line of mixers, all of which are specifically designed and engineered to do more work, more efficiently, for a longer period of time without failure. 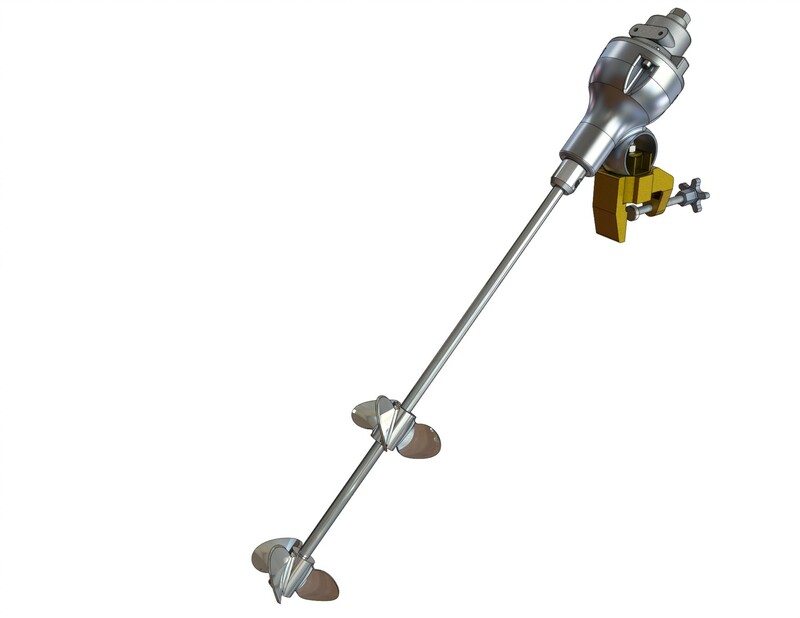 Direct Drive portable mixers are factory aligned and teste, and are shipped as a package for jobsite mounting. The drive assembly includes an electric or air motor with pre-lubricated bearings. The motor has a NEMA Style C footless mounting for direct connection to the quill housing. Gear Drive portable mixers includes an electric or air motor with pre-lubricated ball bearings as well. The motor has a NEMA Style C footless mounting for direct connection to the gear reducer housing. The G series is a low horsepower mixer drive which provides a practical solution for applications that for process or mechanical considerations preclude the use of fixed mount top entering mixers, yet do not justify the use of larger turbine mixers. The L series utilizes a triple reduction, helical/bevel gear arrangement that is 96.5% efficient. Housings are manufactured of Gray cast iron with large output shafts and oversized bearings. The F series utilizes a double reduction, helical gear arrangement that is 96.5% efficient. Housings are manufactured of Gray cast iron with large output shafts and oversized bearings. Flange Mounted top entry mixers mount permanently on flanges of pressure or vacuum tanks and are used for all viscosities. These mixers are standard with forged steel flange, shaft and two propellers. 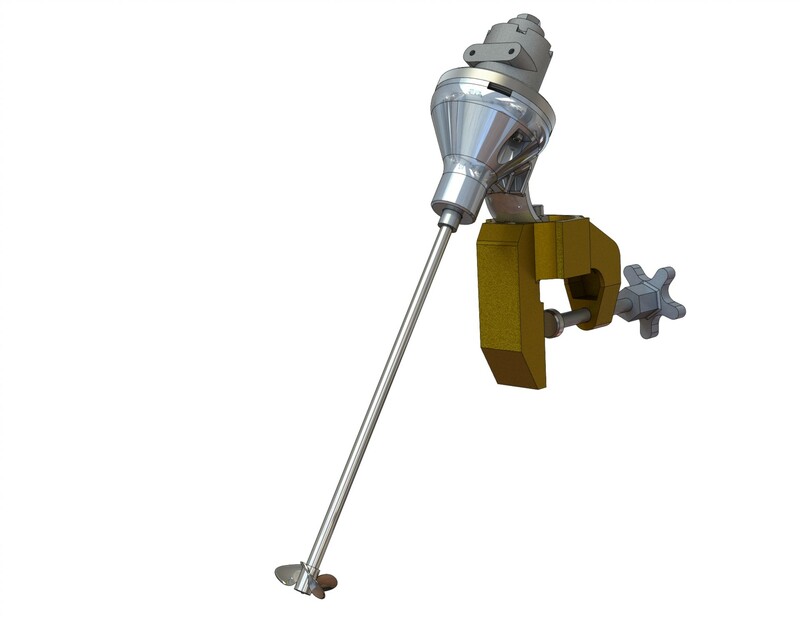 Plated Mounted top entry mixers are for use on an open tank, where no stuffing box is required to maintain vacuum or pressure. They are identical in all respects to the flange-mounted mixers except that the flange is replaced by a rugged square aluminum plate with pre-drilled bolt holes for easy mounting. Model HV is an all-welded construction, “V” belt drive mixer which is extensively used in food, chemical, asphalt and other processing industries. Its heavy duty construction assures long life with minimum maintenance. Model HG is a rugged gear-driven side entering mixer which will provide years of continuous trouble-free service while efficiently handling a wide range of applications. 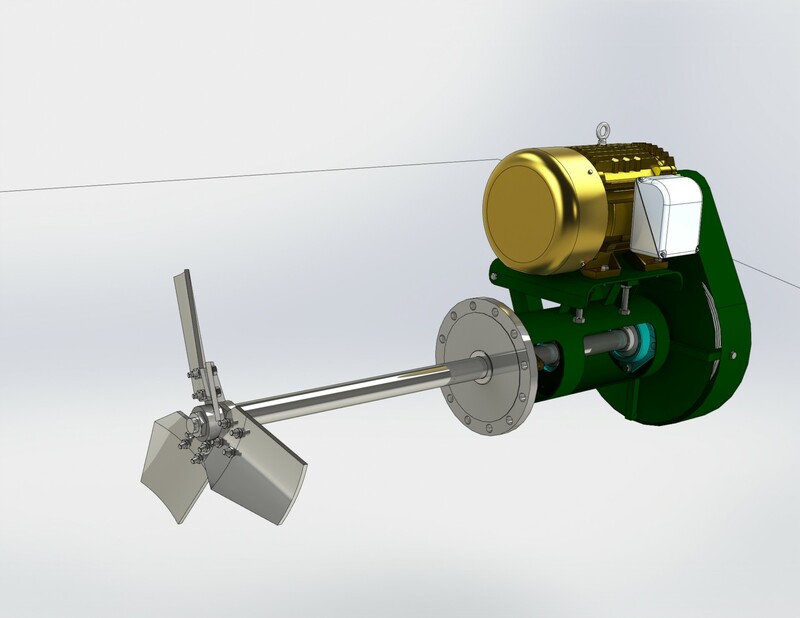 Model HFG occupies a minimum of space utilizing a single reduction helical reducer. Maintenance free gear reducer is lubricated for life. 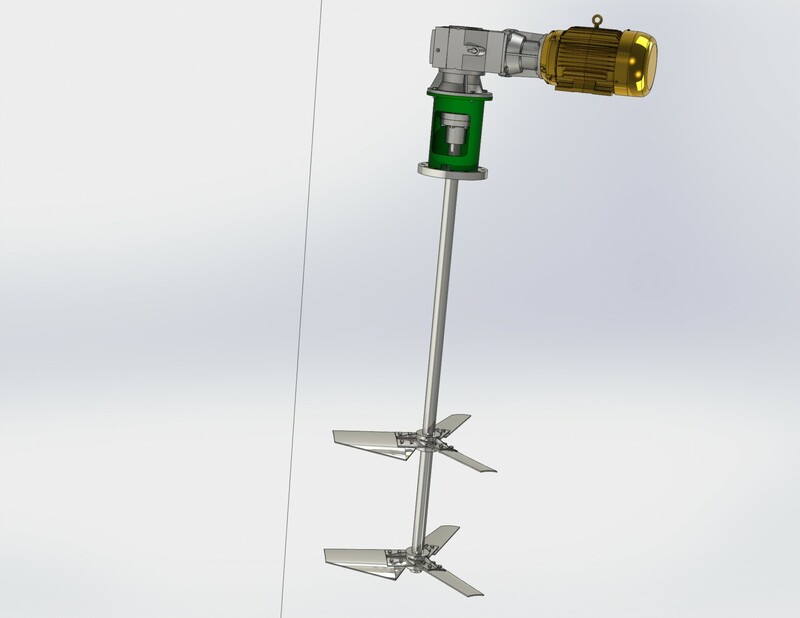 All three models may be specified with either a tank clamp or a ring stand clamp. 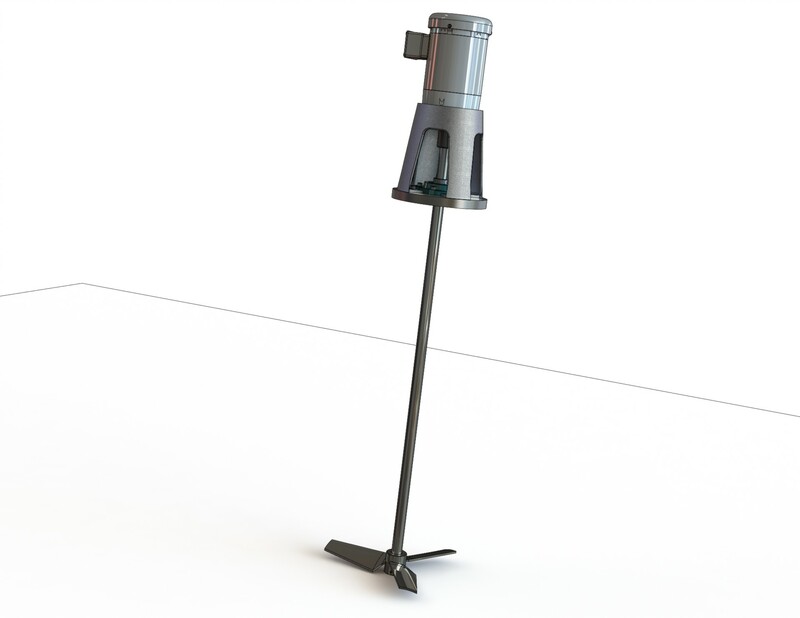 The latter mounts on a MixMor stand having a 1/2″ diameter x 24″ long steel column and a 10″ x 10″ x 3/4″ aluminum base. Tank clamps are made of bronze with a maximum opening of 1-1/2″. Guaranteed to do your job or your money back.